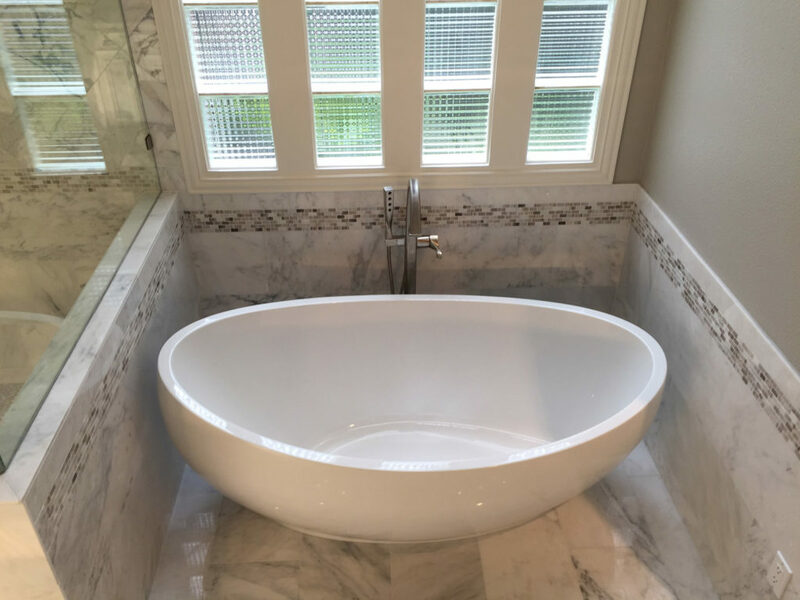 With so many components, that are expected to run perfectly, within such a small space, bathrooms are one of the most complex remodels of your space. 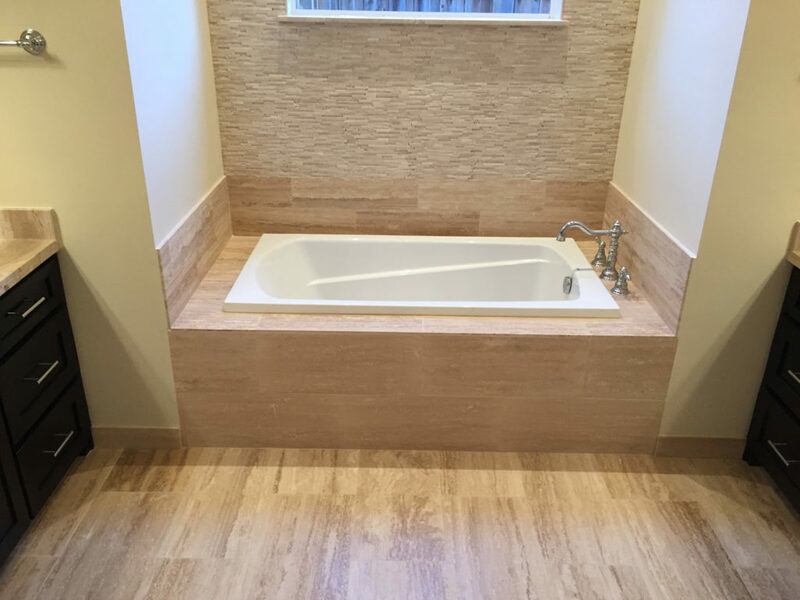 Within the space there are many different specialties at play; tiling, plumbing, electrical, drywall, painting, and counter top fabricators to name a few! Don’t pour unnecessary funds into sub-par work, or a half finished project. At Home Platinum Services we have worked with the same team of trusted experts for years to come together for a well developed and implemented remodeling project. With us you will enjoy a stress free bathroom renovation experience, and we will complete your project on budget and on time. Your project will be customer designed and will be implemented using top quality materials from the brands you trust. We collaborate with our clients on every aspect of the project from selecting tiles, to lighting design. Our passion is to make your vision come to life. Our professional crew will work quick, and leave your home in the best possible condition after clean up everyday. 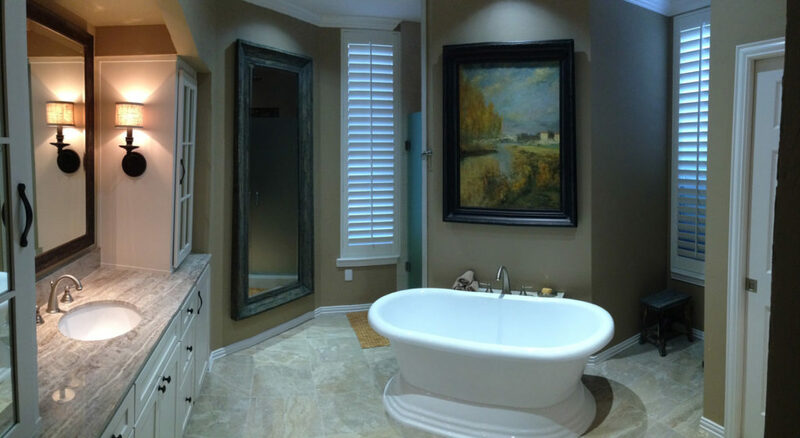 Take a look at our gallery, and we can’t wait to get started on your bathroom remodel! Bathrooms are exciting renovation projects; however, they are no easy tasks. They become challenging given that many components and trades are required to work together in such small space. The trades include tiling, plumbing, electrical, drywall, shower glass door, framing, painting, and counter top fabricators/installers. At Home Platinum Services, we have worked with the same professional and dependable crew for years. Our skilled labors along with a well-planned management team have enabled the company to deliver any bathroom project on time and on budget. Bathroom renovation projects should be done by professionals. When you hire our services, you will enjoy a stress free bathroom renovation experience from beginning to the end. We can turn your wildest design ideas into reality. 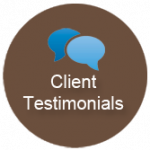 Our goal is to ensure a seamless process for both home owner and our hard working crew. Your project will be custom designed by us using top quality materials supplied from well known brands you trust. We go over all the design aspect from selecting tiles to different lighting design of your dream bathroom. Once the design is completed, we will provide you with a detailed estimate. You will know the exact cost of each step in your project. In addition, we give you an exact time frame to finish your project on budget. You can expect a professional crew working in your home who will clean after themselves every day before leaving for the day. 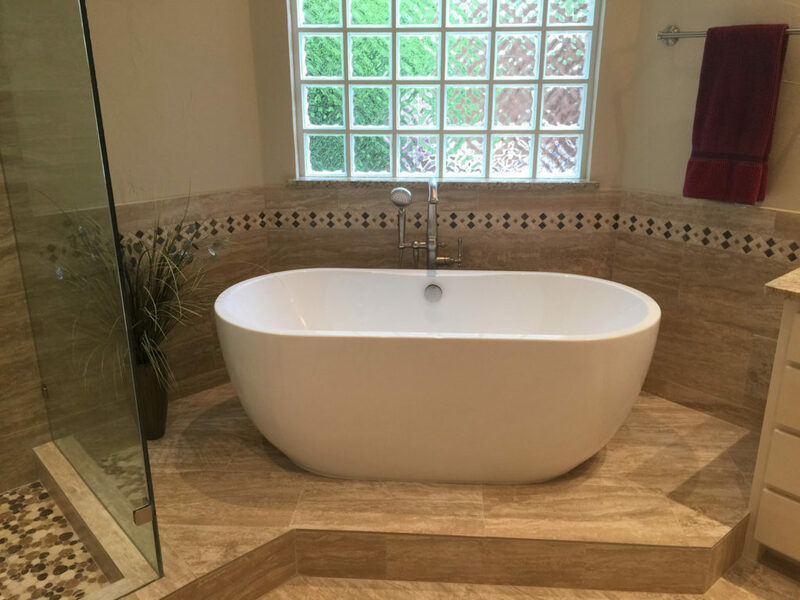 You may take a look at a few pictures of the bath remodeling projects we have completed in the Dallas-Fort Worth metroplex. 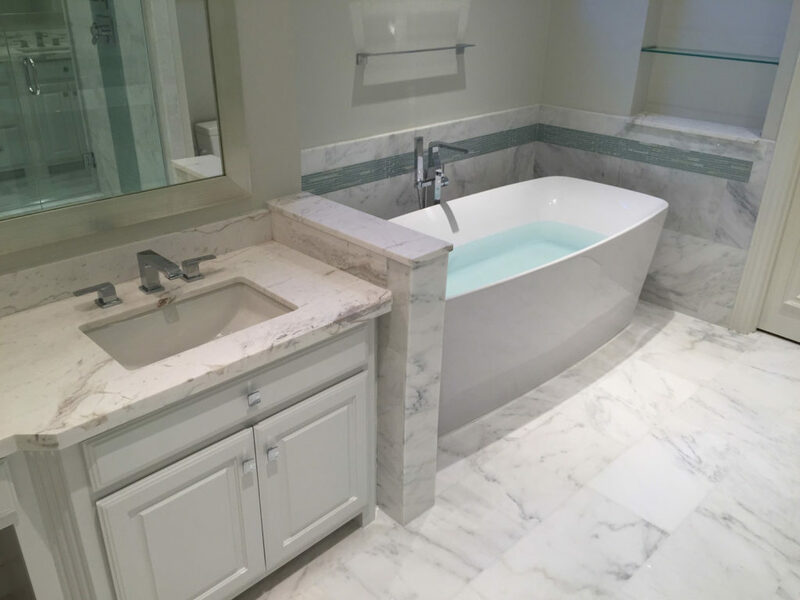 Some of our work includes bathroom remodeling projects in Dallas, Plano, Frisco, Allen, The Colony, Carrollton and other areas. At Home Platinum Services we deliver unparalleled level of service with the focus to address your needs and exceed your expectations. Transitional – Dual vanities and beautiful centered tub. 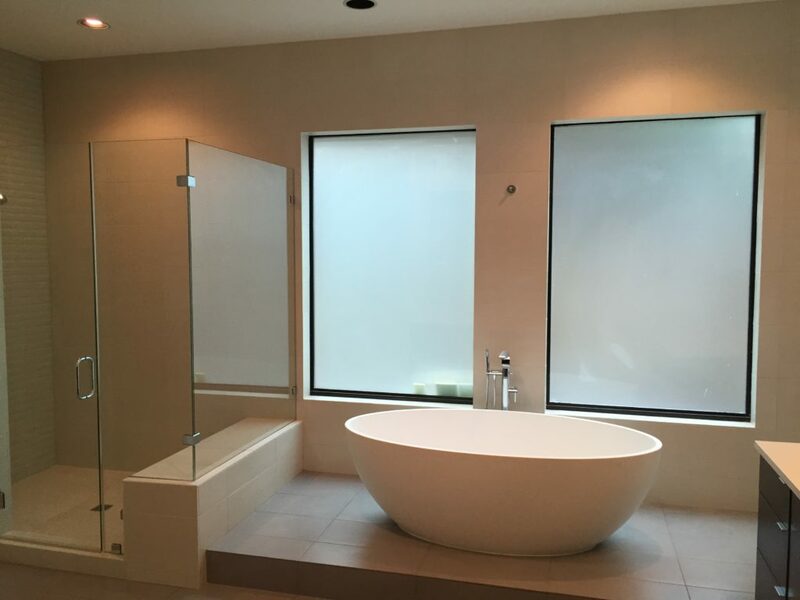 Transitional Luxury – Frameless shower glass and bright white stone. Contemporary – Shower in the center and luxurious marble all around. Contemporary – Floating vanities, modern features, and ultra clean lines. Transitional – Elevated tub and dual vanities showcase this inviting en suite. 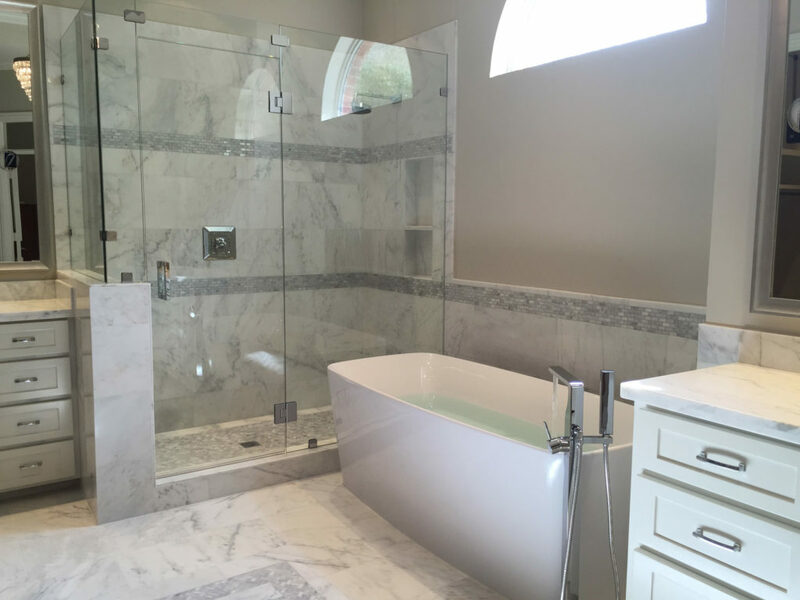 Marble & Glass – Modern stone & frameless glass deliver luxury. Traditional Master bath – A shower fit for royalty complete with chandelier.